A division of the Health Department, Environmental Health provides inspections of day cares, restaurants, motels, pools, septic system inspections; and well water sampling and mosquito control. Fee changes are effective September 1, 2016, as approved by Board of Health and Board of Commissioners. Fees are based on actual cost of the water bottle sampling kit plus $10 shipping fees charged to the environmental health department by the State Lab. Please refer to our Environmental Health Fee Schedule for more information. The Engineered Option Permit enacted by NC General Assembly and approved by Lincoln County Board of Health and Board of Commissioners, is effective September 1, 2016. For more information please visit our Rules, Polices and Fee Schedule page. Lincoln County Environmental Health supports Protect Your Groundwater Day! Everyone can and should do something to protect groundwater. Why? We all have a stake in maintaining its quality and quantity. To find out how you can protect your ground water, Click Here! 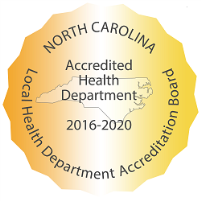 The Lincoln County Health Department provides quality health services to promote a healthy community. Lincoln County Health Department services will promote healthy lifestyles through prevention, preparedness and education.